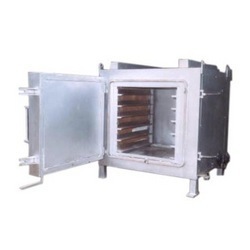 We are the best known manufacturer and exporter of the high quality of Electrical Heating Furnace. We procure finest quality steel and raw material available from vendors for manufacturing Electrical Heating Furnace. These products are manufactured by skilled experts along with latest technology machinery to ensure high durability and sturdy construction. We quality check the final products to ensure high quality products for the satisfaction of our valued clients.